Morbark debuted its all-new line of Eeger Beever brush chippers, as well as the Rayco C120R Forestry Mulcher and AT75 Aerial Trimmer, at the TCI Expo in Charlotte, N.C. 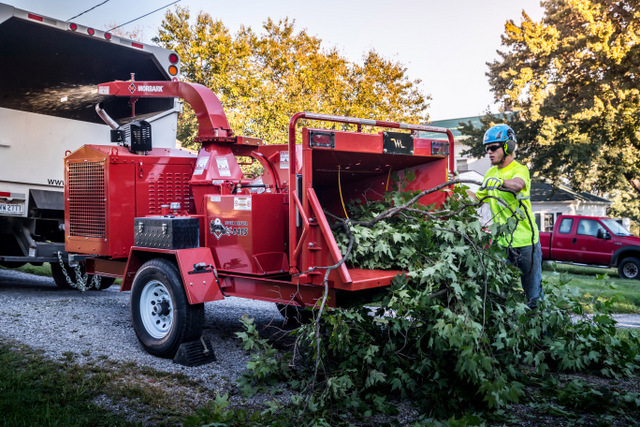 The new equipment was designed with customers’ feedback in mind and is “Made for More” to keep pace with tree care crews’ needs. Most of the chippers in the line utilize the most powerful feed system on the market the TorqMax, which can generate from 2,000 to 10,000 lb/ft (2,711 to 13,558 N•m) of material pulling force (TorqMax is available on all models except the 812 and 1415). The compact and nimble AT75 has a shorter carrier length, tight turning radius and three steering modes — front axle, four-wheel, and crab steer — for maneuverability on narrow right of ways. Machine leveling allows the whole machine to tilt up to 15 degrees while maintaining a low center of gravity for work on sloped surfaces. 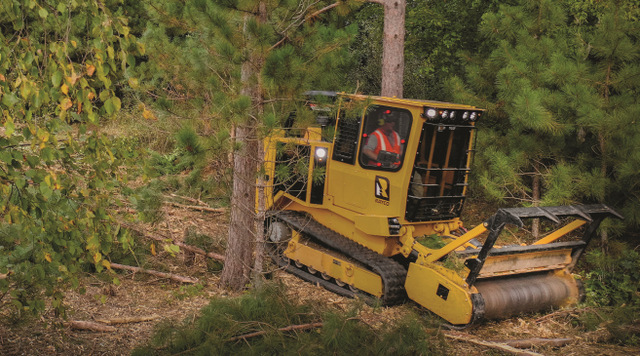 The AT75 has a trim height of 75′ (22.9 m) with its 24″ (61 cm) saw blade. The boom also can rotate up to 42 degrees clockwise and 47 degrees counterclockwise so the operator can make angled cuts quickly and safely, without tilting the cab. For more info on Morbark, click this link. Really, what else do you have going on?